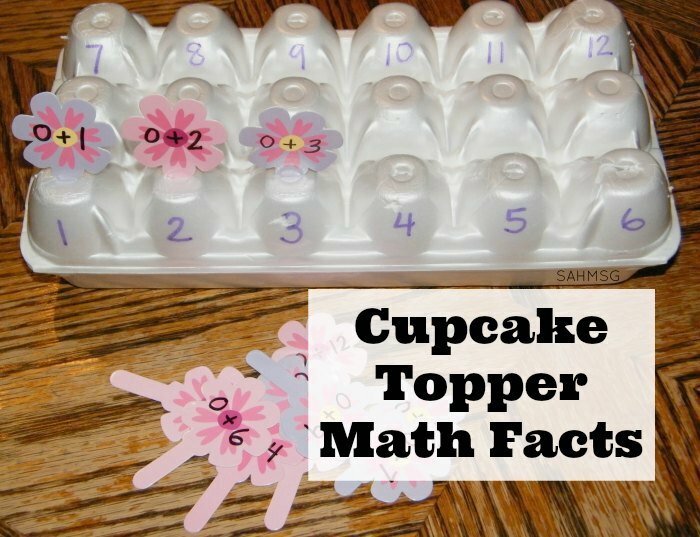 Cupcake toppers are fun decorations, but they can be turned into a simple math facts activity for young elementary school aged kids. Often you can find seasonal items like these Spring cupcake toppers in the dollar aisles and discount bins in your local store. 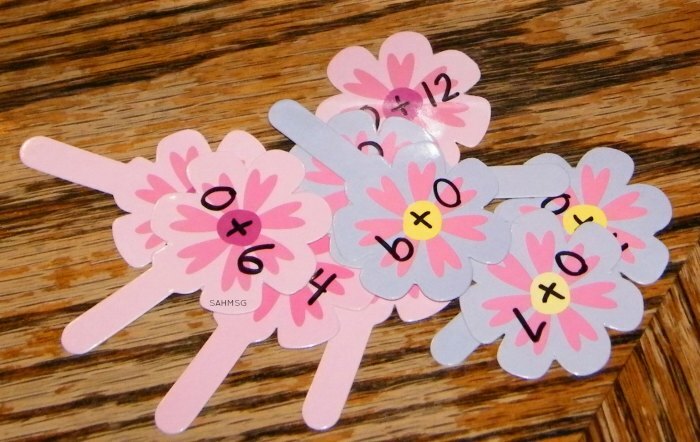 I found little spring flower themed cupcake toppers in the wonderful Target Dollar aisle, and created a math facts activity with them for my kindergartner. I decided that I just can’t get enough games made from egg cartons, so we needed another one! Flip the egg carton upside down so the egg cups are on top. On the bottom of each egg cup cut a small slit so that the cupcake topper sticks can slide in. 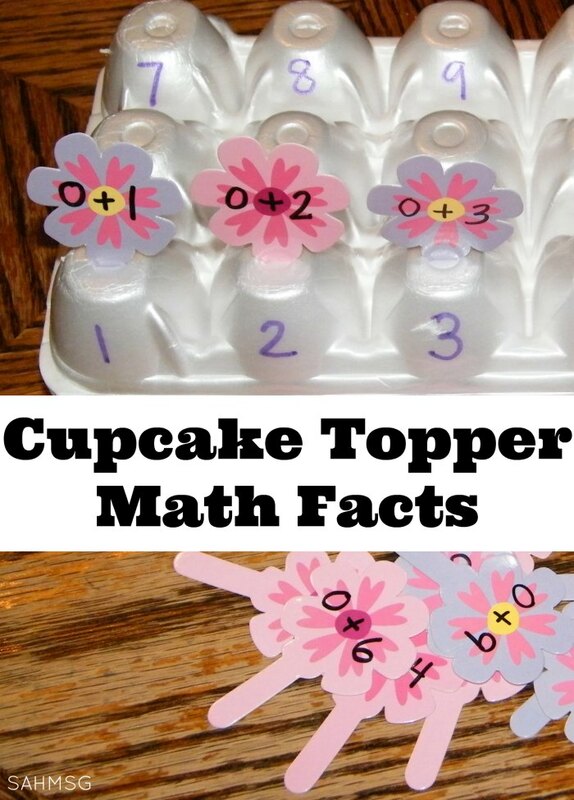 Write simple math facts on each cupcake topper: 0+1, 0+2, 0+3. I was trying to begin to teach the pattern to my son, but you can mix it up, create subtraction facts, multiplication or anything or just do a number match for younger ones! There are endless options. The game is to solve the math fact and place the cupcake topper into the egg cup with the answer that matches. 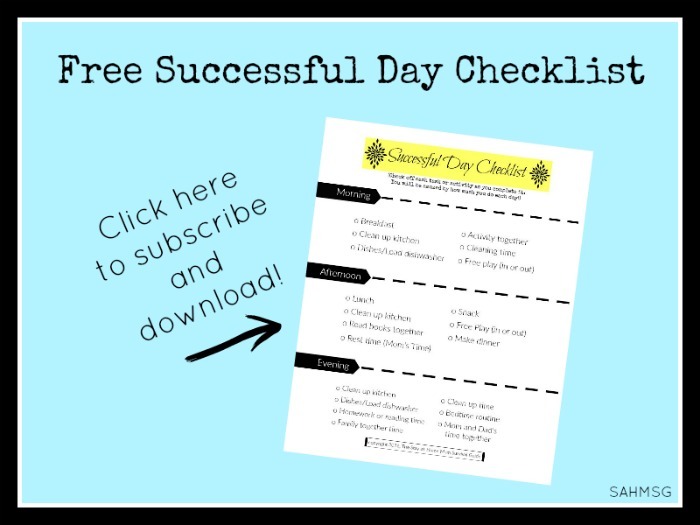 This is a simple game to set up as an after school activity, or a great table activity for your homeschool child. 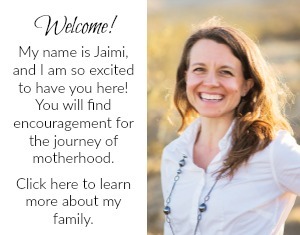 We love incorporating simple activities like this into our preschool homeschool lessons. The simple activities really do teach big concepts. 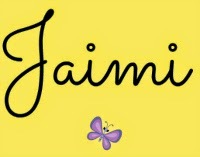 Simple… fun… learning.